Hank Williams' Unfinished Thoughts, Finished The country legend died on New Year's Day in 1953, leaving behind a vast trove of unfinished songs in a ratty old suitcase. Nearly six decades later, with the help of Bob Dylan, Norah Jones and other songwriters, some of those songs are finally seeing the light of day. The Lost Notebooks of Hank Williams puts unreleased works by the country legend in the hands of a dozen contemporary songwriters. Norah Jones - How Many Times Have You Broken My Heart? 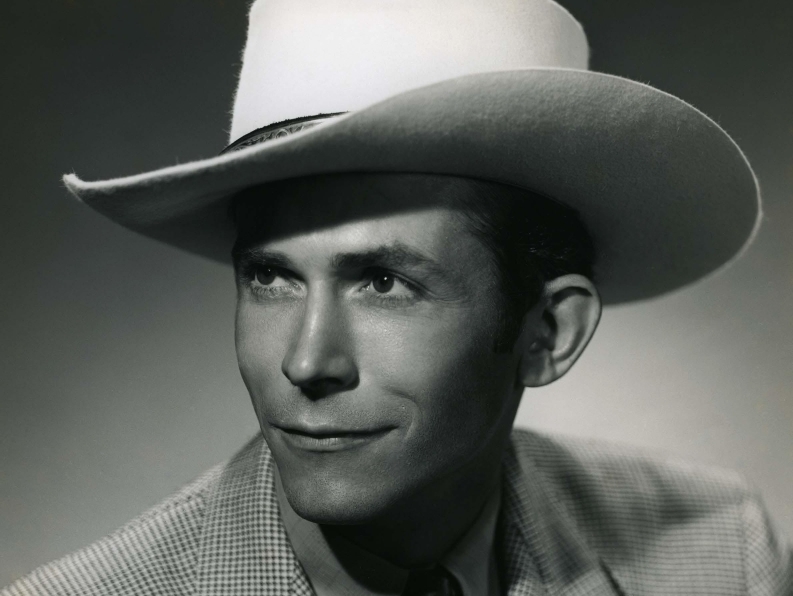 "When Hank Williams died, he left behind a scuffed, embroidered brown leather briefcase. Like its owner, the briefcase appeared weathered beyond its years, yet it retained a dignified bearing that abuse couldn't erase." So begin the liner notes for a new compilation titled The Lost Notebooks of Hank Williams. Michael McCall, who wrote the notes, goes on to explain that the briefcase contained a stockpile of unreleased — and, in some cases, incomplete — music from the mind of the country legend, who died at 29 on New Year's Day 1953. His mother, Lilian Stone, discovered even more of his notes in a cardboard box in his room. "She took that box and called [Williams' publisher] Acuff-Rose and said, 'We have these songs — what should I do with them?' " McCall says. "And they said, 'Send them to us. They're largely our property, and we'll take care of them.' And they kept them in locked vaults to make sure they were cared for the way they should be." The catalog was sold several times over the years and eventually came to the attention of producer Mary Martin. Now, Martin has organized an all-star cast to finish some of those lost songs and record them. Bob Dylan, a Hank Williams superfan, was one of the first artists she approached. "At that time, the idea was to have one particular brave singer-songwriter view the lyrics and choose 12," Martin says. "Bob Dylan held those lyrics for over a year and a half, and I do believe that it was too mighty a task. So he suggested that he would do one, and then we decided it should be a compilation record." Martin says it was important to her that the participants be songwriters, not simply arrangers or interpreters. The roster of talent on the disc includes Jack White, Alan Jackson, Norah Jones and many others. One standout is "Blue Is My Heart," which was recorded by Holly Williams — Hank's granddaughter. "I think she really discovered a lot about herself, and I think she gained a huge appreciation for who her granddad was," Martin says. "She worked so, so very diligently to get it right."